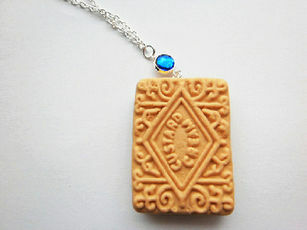 Shaped into the form of a biscuit and a sapphire man-made gemstone is added for effect. * Not suitable for young children. This product is not real food.